Book lights are great but why do they always run out of power when you get to the important part of the story. This can be a thing of the past as this book light has a USB port through witch you charge the build in battery so now you never have to wait for you batteries to run out. Just charge this book light when ever you want. And the nice clip on this book light makes it ideal for other things then paper books. 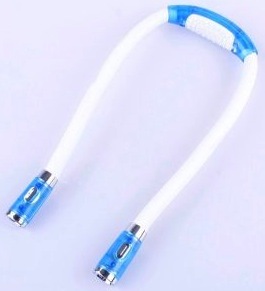 It could as well fit on your ebook reader or any where else you can clip this light on. 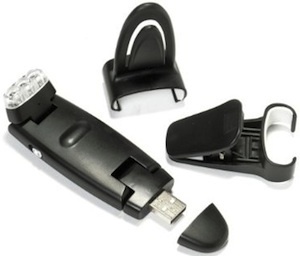 Stop sitting in the dark go get your own USB Chargable Book Light. So you have a ebook reader that does not have backlight a reader like the Amazon Kindle. How do you read in the dark? Simple get a book light just like you are used to while reading a “real” book. Belkin designed this clip-on book light for the Kindle so that you now have the perfect amount of light while reading in the dark. This Kindle light even offers different light intensities so that you choose what fits best for you. I expect that this light would work on any ebook reader but it is designed for the Kindle. 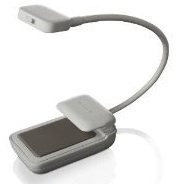 OK so you now know what is possible, now it’s time to read what others think of this Belkin Book Light For The Kindle. As many ebook reader users know e-ink is nice but it does not have a back light and that means when the light go’s of you can read you book because it is dark just like with a real book. Most of us know this still from the days that we used real books because they where also dark when the lights where off. But with the Kandle LED Book Light you can keep reading in the dark because it will light you ebook without any glare. 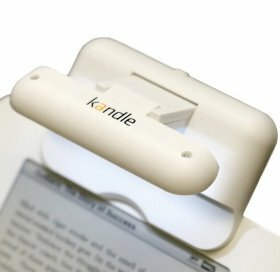 The Kandle clips easily on to an ebook reader like the Kindle or the Sony Reader. And not just the small once even the Kindle DX will be very happy with the kandle.